Summer end brings a triple dose of Doom from Metal On Metal. NOMAD SON return with the new (their third) CD "The Darkening", which has already received some enthusiastic reviews. 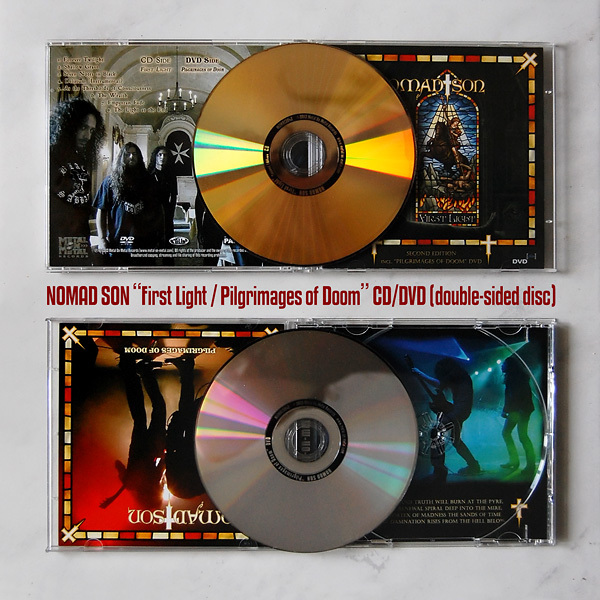 At the same time we re-released their sold-out debut from 2008 "First Light" on DVDplus (double-sided disc) format together with "Pilgrimages of Doom" DVD containing over 2 hours of live doom madness (pro-filmed and edited footage of the band's performances at Hammer of Doom VI, Doomsday IV, HOA XII warm-up and Doom Shall Rise VII) and an interview. It's a real treat for all those who worship at the altar of traditional doom metal, but also '70s hard rock and '80s heavy metal, as these Maltese merchants merge all these styles in their music in a seamless way. And the third, also traditional doom metal release, is from the Swedish newcomers STONEGRIFF. They keep things straightforward and heavy on their debut "Prologus Magicus", not trying to reinvent the wheel, but their singer Jacob definitely gives the band a personal edge with his charismatic vocals. All three titles are available also digitally, for now from our Bandcamp page as MP3 320 kbps, FLAC and other lossless formats, and very soon through CD Baby, iTunes, Amazon MP3, eMusic and other retailers. 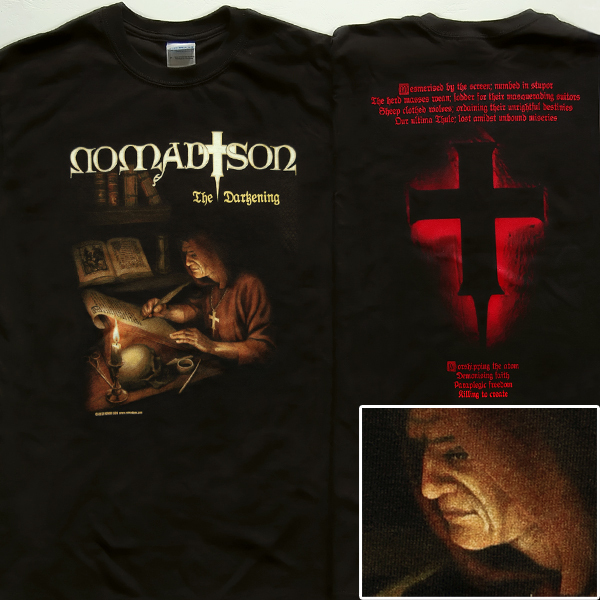 Additionally, we are offering a new NOMAD SON T-shirt with "The Darkening" design. After the pre-orders we still have a dozen of them in stock, for the moment in all sizes (S, M, L, XL and XXL). Head on to our SHOP page to get these doom metal goodies and don't forget to check the BUNDLES! 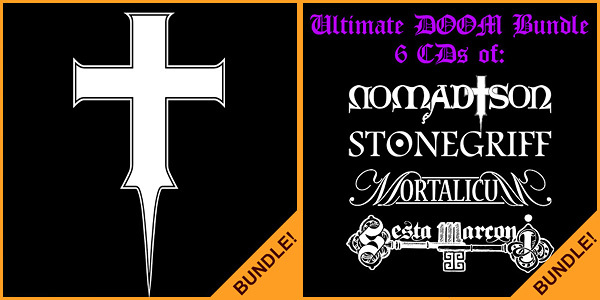 There's a discount if you purchase 2 new NOMAD SON releases together or with the T-shirt, there's a new "NOMAD SON Apocalyptic Doom Bundle" and last but not least we have created an "Ultimate DOOM Bundle" with 6 CDs and 1 DVD for 42,00 Euro only (that is with 27,00 Euro of discount).